Although I love the taste of grilled greens, I'm the first to admit that not all varieties work when it comes to texture and taste. 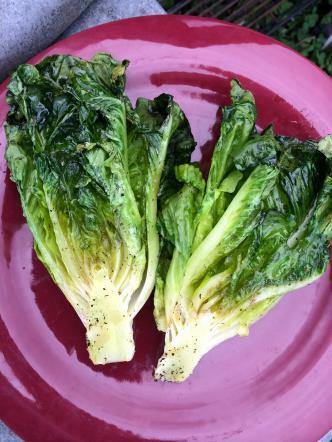 Romaine hearts are still my go-to, because they're hearty and stand up well to the heat. Young greens and leaf lettuces? Not so much. But if you get the right kind of lettuce, grilling can be a knockout, since smoky flavors emerge and a little caramelization adds a touch of sweetness. Truly, it's a completely different taste than a fresh salad, which tends to be more of a minor player when you're serving grilled meats and vegetables. 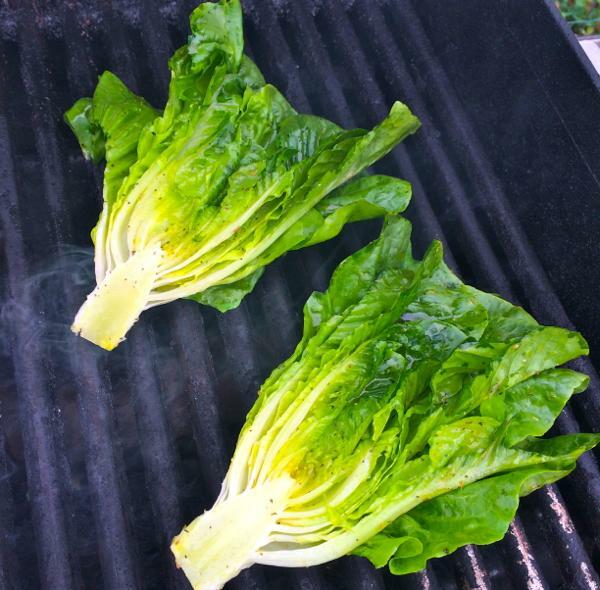 With grilled romaine, however, you have the salad taking on a leading role. - Take off grill, transfer to platter, and serve. It's that easy. Also, it makes for a fun choice for entertaining because you can hold the salad by the stem and munch away. 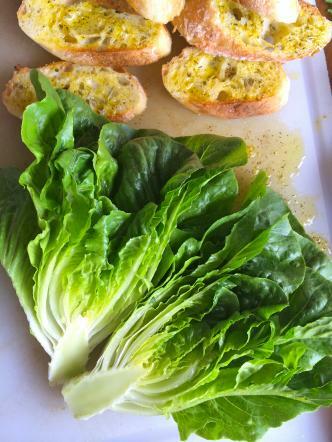 Or you can cut the grilled halves again lengthwise and serve them crisscrossed for a dramatic plated salad. In terms of cautionary notes, keep in mind that this is a quick process — no walking away while it's grilling. Also, if you over-apply the oil, you could get flare-ups that would scorch the leaves. Finally, if you want to serve the salad warm (my favorite way), ensure that everything else is ready so that you can serve them directly, as they tend to cool quickly. For dressing, I've served them with nearly every imaginable combination, but my favorites are the duck vinaigrette, a simple balsamic, lemon-caper Caesar-style dressing, as well as creamy ranch and creamy Greek yogurt blue cheese. With respect to add-ons, diced tomatoes or red bell peppers add a nice cool, contrasting crunch. Grilled stone fruit like peaches, plums, and nectarines are excellent as well as roasted meats (pork or duck) and even grilled flat iron steak, thinly sliced laid over the greens. Just remember that the smoky flavor is an awesome flavor to pair with and leaves you many options. Happy grilling! Mike Shannon left the dusty world of mechanical engineering to pursue a verdant, culinary life. He is a Le Cordon Bleu Culinary School graduate and leads the culinary programs at Cooks of Crocus Hill.